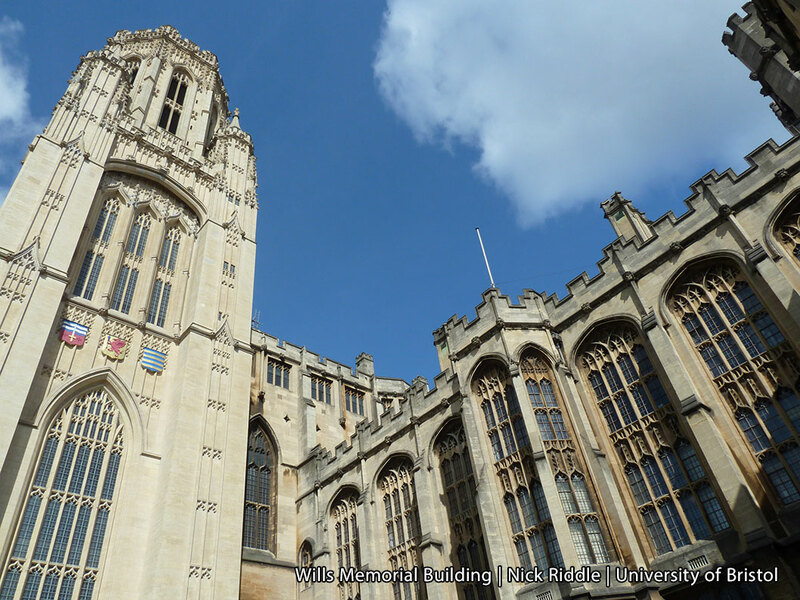 The University of Bristol saves £1.7m per year using energy efficiencies and tariff avoidance. What challenges does the University of Bristol currently face? Over the last decade, The University of Bristol has grown 30% in size, population and infrastructure and is set to continue growing over the coming years. Sustainability is one of our main focuses, with it featuring on the university’s strategy plan; we aim to be completely net carbon neutral by 2030 and are on target to meet this. The campus currently consists of over 300 buildings of all types, from farms to laboratories to offices to hospitals. 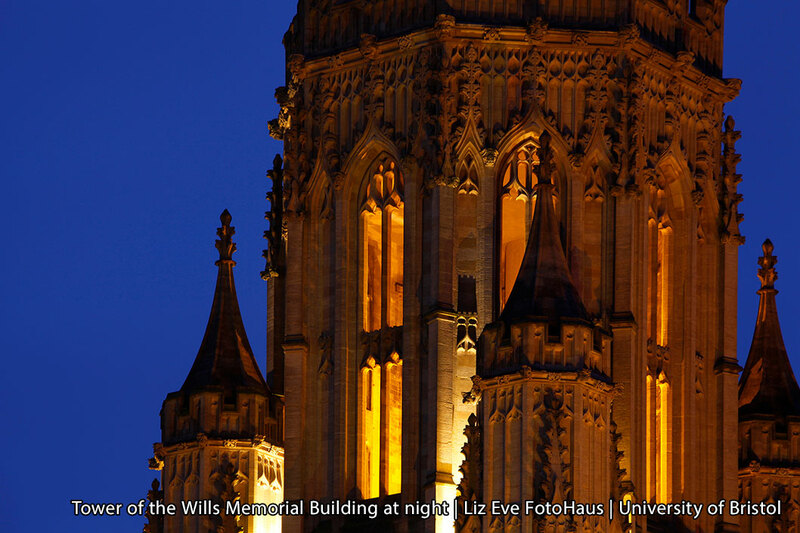 These are spread across Bristol city centre, Stoke Bishop, Langford and Clifton and, as a university, we have the highest proportion of listed buildings within the sector. The scale and variety of our campuses make it difficult to differentiate energy usage. The university’s theatres, offices, laboratories, student housing, and more were all measured on one meter, making it challenging to track what energy was being used where. We tried sub-metering but this presented us with new issues. Many sub-meter systems used price per point, meaning we were paying a set amount per year which resulted in us self-censoring our coverage. We noticed we were focusing our attention on the largest metered buildings, ruling out 60% of our unmetered buildings, limiting our potential energy saving options. Our aim was to collect as much information as possible and to do this we focused our budget on the installation of meters across every university building. This is where Rayleigh Instruments came in. How did you discover Rayleigh Instruments? We held a mini competition on metering and sub-metering and Rayleigh Instruments came in at the most cost effective. We have been working with Rayleigh Instruments since June 2010 and currently have 220 Rayleigh Connect systems installed and networked within our buildings. Our partnership is mutually beneficial, the university’s knowledge of both the sector and the product meant we could take a beta style product and suggest improvements to Rayleigh Instruments. In our research, many of our buildings are used as testing ground and we have used the Rayleigh Connect system to provide data to our academic researchers. What practical benefits has Rayleigh Instruments provided? Firstly, using the Rayleigh Connect system is very cost effective. 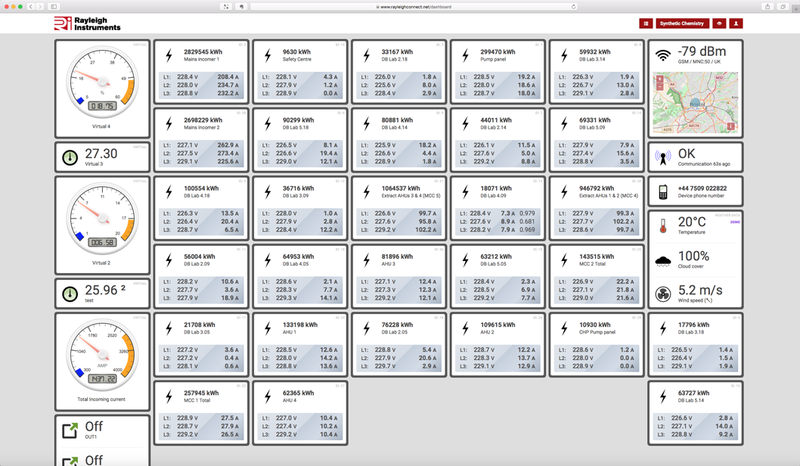 They run using a cloud-based software that records the energy through the sub-meters and allows us to monitor the data on phones, laptops, tablets, wherever we are. We see the savings made by using this software. Analysing the data showed us that much of our electrical energy is going on moving air, primarily through our highly serviced areas, such as our laboratories. This is hugely expensive as the air moves through the lab and is dissipated, so all the money spent on heating is wasted. The amount of buildings we have, varying in purpose and structure, mean it has always been difficult to track energy. Using the integrated system, Rayleigh Connect, has enabled to analyse data from every building in the same way, through the same software. How has Rayleigh Connect helped with data control and research? Sub-metering turns anecdote into fact, meaning our predications about the universities energy usage can be proven, or disproven, using the data collected the sub meters provide. They enable us to retrieve data from all our building via ethernet or sim card, meaning substations that without network capability can still have their data collected, downloaded and analysed by us and Bristol academics. The system allows us complete access to the data, which we then download onto Systemlink, a data validation software which we use to authorise our fiscal metering and reconcile our data. This can then be used for academic purposes to study energy usage and shared with students, staff and faculties. How successful has this data collection been? It has been hugely successful, so much so we have been awarded a grant from the UK Collaboratorium for Research on Infrastructure and Cities (UKCRIC), a national research project that aims to address unsustainability used by services in the national infrastructure. Our research, alongside our connections with Bristol City Council and the Bristol Is Open project, has granted us part of this 500-million-pound project, allowing us to increase our research on energy efficiency. How much has Rayleigh Instruments saved the University? The university uses £6m worth of electricity and £2m of gas per year, a huge amount that is only set to increase due to rising electricity prices. Rayleigh Instruments’ metering systems have enabled us to make sense of where our energy goes and has saved the university a huge amount. Over the last seven years of working with Rayleigh Instruments we have implemented measures that have saved £1.7m a year against business as usual. How has Rayleigh Instruments helped identify and resolve issues of energy usage? We can save considerable amounts, more than we ever spend on meters. The meters help with this as it tells us where our consumption is high and verifies where we have avoided it. Rayleigh Instruments also helps with high tariff avoidance. Although we pay less than your average household consumer, we have many additional charges and some of them only apply at certain times of the day. However, we are given full visibility of these charges, meaning we can avoid peak usage times, saving both money and energy. For example, energy costs in the South West peak between 5pm-7pm - everyone is using energy between these times and to encourage users to switch off there are large increases in price. Using Rayleigh Instruments, we can identify where energy is used and when. We can’t switch off experiments or students’ TV’s in these peak times simply to save money, but we can ensure that any electrical water tanks are already fully heated. What are the university’s future goals regarding sustainability? Despite the university’s increasing size, we have decreased our energy usage. We plan to continue this, with a long-term goal of making the university net carbon neutral by 2030. This goal affects every decision we make, putting sustainability at the focus of the university’s future. What is the future for Rayleigh Instruments and Bristol University’s working partnership? We are constantly working closely with Rayleigh Instruments to make new opportunities and technology to increase sustainability for, not only the university, but also for wider use. Our wide range of buildings have enabled us to spot potential problems and developmental areas, which we then forward to Rayleigh Instruments for a solution. For example, we are currently exploring how we can bring other Modbus non-metering equipment onto the system, as we have done with our solar panel invertors. This means if we can identify the register, Rayleigh Instruments will programme it in. This partnership promises a bright future, not only for the sustainability of Bristol University, but also the sustainability of all commercial buildings.